The Jewish Free Press, Calgary, February 15, 2007, p. 21. Ta-Shma, Israel. The Earliest Literary Sources for the Bar-Mitzvah Ritual and Festivity. Tarbiz 68 (1999): 4. Marcus, Ivan G. Rituals of Childhood: Jewish Acculturation in Medieval Europe. New Haven, Conn.: Yale University Press, 1996. Weinstein, Roni. Childhood, Adolescence, and Growing-up in the Jewish Community in Italy During the Late Middle Ages. Italia 11 (1995): 77-98 [Hebrew]. A student once informed me that he was unsure whether he was fully Jewish, since he had never had a bar mitzvah. On a different occasion, when I was teaching some Catholic students about Judaism, the first question to be posed to me at the end of my lecture was why is the bar mitzvah such an important ceremony for Jews? I suppose that it is those kinds of misconceptions about the inflated importance of the bar mitzvah rituals that provoke us to respond with insistent denials of the institution's importance or historical roots. It is not unusual for scholars to make claims such as: The commemoration of a boy's becoming bar mitzvah is strictly a modern development, and only in America did it become an occasion for festivities. Although there is some truth to this generalization, the like of which has occasionally issued from my own lips, the matter is not quite so straightforward. A careful reading of Jewish documents indicates that several key features of the bar mitzvah can at least be traced back to the early Middle Ages. What has come to be known as bar mitzvah actually encompasses several distinct elements, each one of which lends itself to a separate examination. These elements include: the designation of the ages twelve (for a female) and thirteen (for a male) as the transition to religious adulthood; the identification of that age as the appropriate one to begin wearing t'fillin; the marking of the transition by calling the youth to the formal reading of the Torah in the synagogue; the celebration of the event with a festive meal; and the recitation of a special blessing by the parents. With regard to the definition of the age of majority, our ancient sources discussed a broad range of ages for beginning adulthood, depending on the context. Such discussions were relevant to: marriage, the obligation to perform assorted biblical or rabbinic rituals, imposing penalties for transgression of religious prohibitions, and the validity of legal acts such as purchases or sales. The significance of the ages twelve and thirteen as the start of adulthood derived from the assumption that by those ages the children will normally have attained physical maturity. As in several other instances, where later Jewish law strove to eschew individual or subjective criteria in favour of uniform standards, the medieval communities gravitated towards the adoption of fixed ages. This approach was acknowledged in the commentary of Rabbenu Gershom of Mainz in the eleventh century. The precept of wearing t'fillin (phylacteries), which has come to have a special association with the bar-mitzvah milestone, was not originally linked to any specific age. The Talmud states that a child should begin observing the commandment when he is mature enough to take care of them properly and to treat them with the proper reverence and cleanliness. This would normally imply an age considerably younger than thirteen years. Indeed, that policy persisted well into the medieval era, and it is not easy to pinpoint the precise time when thirteen years came to be perceived as the correct age for t'fillin. The blessing barukh she-petarani, which is recited by the parents to acknowledge that they no longer bear liability or responsibility for their child's transgressions, was first documented in connection with an eleventh-century German authority, Rabbi Judah ben Baruch, who pronounced it when his own son was first called to the reading of the Torah upon reaching the age of thirteen years. In the late twelfth century, Rabbi Isaac ben Abba Mari of Marseilles recorded that it was customary to recite this blessing in several localities. 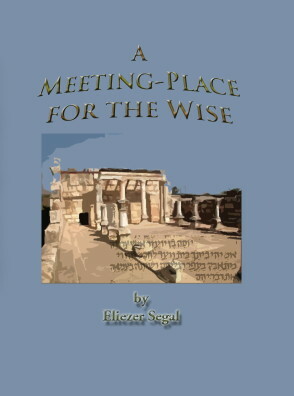 This combination of the aliyah to the Torah reading and the barukh she-petarani (as a full, formal blessing, and not in the abbreviated version that has become common in many contemporary rites) brought together several of the key components that make up our typical bar-mitzvah observances. In almost all current rites, the assuming of adulthood is demonstrated communally through participation in the reading of the Torah in the synagogue. When the occasion is observed on the Sabbath, it is considered preferable to read the haftarah, the section from the Prophets, in combination with the concluding passage from the Torah portion, the maftir. It is widely perceived that the maftir-haftarah combination carries a higher status than other scriptural readings. This, in fact, is contrary to the way that these matters were understood in our classic sources. The Talmud assumes that the invitation to read from the Prophets is of a decidedly lower standing, to the point that the reader of the haftarah might be insulted if he were not compensated with an additional invitation to lead some of the prayers. This approach remained in force during the Middle Ages, when the chanting of the haftarah was the only part of the Torah service that could be assigned to minor children. It followed from this premise that reading the haftarah could not really serve as a suitable symbolic expression of a person's entry into adulthood. For this reason, the older custom recommended that the demonstration of maturity take the form of a standard reading from the Torah. The common practice today, of focusing on the Prophetic haftarah reading, thus marks a 180-degree reversal of the traditional ritual as it was known to the early authorities. The earliest explicit reference to holding a festive meal to celebrate a youth's becoming bar-mitzvah is mentioned in connection with a certain Rabbi Avigdor of Vienna in the early thirteenth century, who wrote of holding a banquet for his son on his thirteenth birthday. Yet, the Kabbalistic tradition implies that such feasts were known in ancient Israel. The Zohar Hadash, a miscellany of mystical texts collected by the 16th-century Safed Kabbalists, found an allusion to the practice in the words of the Song of Songs (3:11) Go forth, o ye daughters of Zion, and behold king Solomon with the crown wherewith his mother crowned him in the day of his espousals. The Zohar Hadash applied this verse to the rejoicing on a lad's thirteenth birthday, for on that day it is incumbent on the righteous to be merry in their hearts, as if on the day that they enter the marriage canopy. It follows from this exposition that, just as Jewish weddings are invariably accompanied by joyous banquets, the same should hold true when a youth assumes the responsibilities and privileges of spiritual maturity.